A seemingly faultless and devoted English nanny cares for a well to do family but the peace is disrupted when ten year old Joey returns from boarding school. He has behaviour problems and hates nanny, in fact he has done ever since "the accident" that killed his baby sister. Joey got the blame but he has a different story and he thinks nanny is out to get him. This is a really chilling and suspenseful wee film. 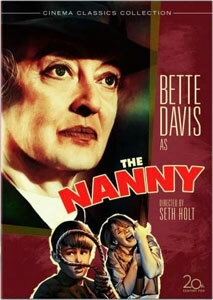 William Dix is a terrific child actor and Bette Davis is superb as the eponymous nanny. This is one of the better Hammer films and it makes for a really creepy evening.